First of all, Login to your SetupServer Account and go to Settings. 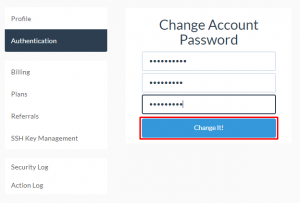 After filling the details click on “Change it!” button and your password will be changed and now you will be able to login to your account by using your new password. 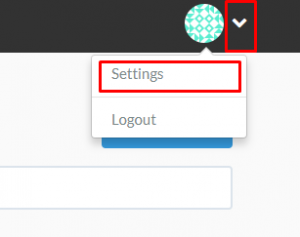 First of all, go to the settings tab which is on the drop-down list on the upper left corner of the screen and select “Authentication” tab on the Vertical Navigation Bar. After that, click on the Button which says “Let me Answer!” for answering security questions. 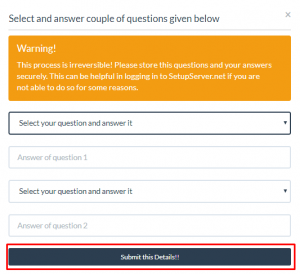 Answer the security questions on the modal box and submit it by clicking on “Submit this Details!” button below it. 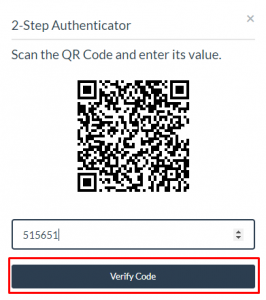 The page will refresh and now you can enable your “2-Step Authentication” by clicking on “Enable 2-Step Authentication” Button on Authentication page. Now you will be able to login to your SetupServer.io Account by using 2-step authentication app.